It is hosted by New Dream Network Llc (California, Brea,) using Apache web server. 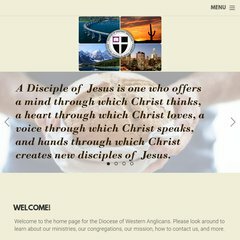 Westernanglicans.org's IP address is 64.90.37.251. It has 3 DNS records, ns3.dreamhost.com, ns1.dreamhost.com, and ns2.dreamhost.com. PING www. (64.90.37.251) 56(84) bytes of data. A ping to the server is timed at 58.5 ms.